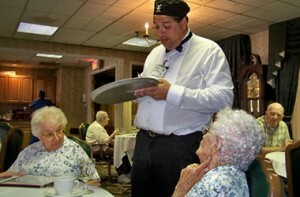 Are you offering menu choices that please older diners? What’s for dinner? A classic like meatloaf and mashed potatoes, a trendy new salmon dish, or both? After decades of serving relatively basic menus, many senior care communities are hiring professional chefs and serving more trendy, upscale foods. Just in time, too. As I discuss in Hospitality for Boomers, How to attract residents, retain staff, and maximize profitability, the Baby Boomers have arrived and they are not satisfied with black coffee and assorted sweetener packets. 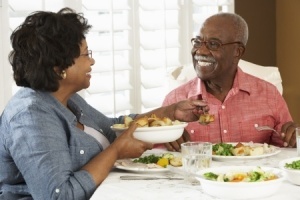 Today’s senior has eaten at more restaurants and tends to be more adventurous about food than previous generations. The growth of the “foodie” movement has further spurred interest in gourmet offerings and Boomers tend to be very interested in healthy food choices. Whether Boomers are moving into your community or shopping for their parents, they are making an impact on what is being served in dining rooms across the country. But, as you probably already know, offering choices that please everyone in your community is more complicated than just swapping out fish sticks for fillet of sole. Residents loved Chef and loved having more choices. The Marketing Director was enthusiastic about the new menu as well and scheduled frequent lunches with prospective residents, who were impressed with the quality of the food. So, more and more upscale dishes were added to the menus. Staff was really proud of our revamped food service program, but, several weeks later the residents sent a small group of representatives to talk to me. Apparently there had been a great deal of distressed talk going on in the halls. To avoid similar issues, remember who is important when planning menus: the residents. Communicate with them before, during, and after making big changes and develop balanced menus, offering some traditional choices and some upscale choices. 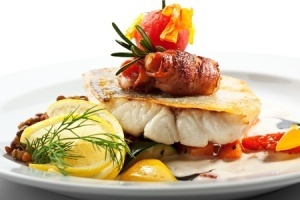 Often, residents will warm up to new dishes, when they are consistently prepared. A caregiver told me recently about an older gentleman who came to appreciate many new foods over time. He had always eaten a fairly limited diet and a lot of processed foods. For him, “just like Mother used to make” often meant food that came out of a box. At first, when presented with home-cooked, healthier meals, he was suspicious. He would hold out a food item or jab at it with his fork and demand, “What is this?” When told, he would insist it could not be tasty. Fortunately, he was willing to at least try a bite of everything and usually liked the new food. We helped him accept our menu offerings by cooking dishes he was familiar with, such as chicken pot pie and maple pancakes, except we made the food from scratch, using nutritious ingredients, and made sure to use the same exact recipes every time. After the second or third time he tasted one of the new dishes, he would be happy to see it arrive at the table. He even bragged to his table mates about how good he felt eating healthier and recommended they try the dishes he’d come to love. During the 1940s, processed foods were developed that made meal preparation easier and, in many cases, solved nutrient deficiencies for people who did not live near fresh sources of vitamins and minerals. Since then, processed foods have become major staples in the American diet and they have created an expectation of consistency. 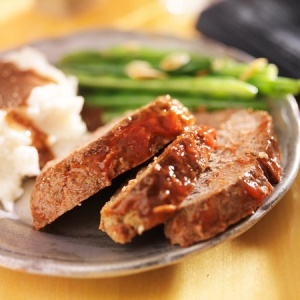 Think about it: every meatloaf TV dinner tastes exactly like every other meatloaf TV dinner of the same brand. That consistency creates familiarity, which builds trust for the food. When you are moving from meals made from mixes to fresh, whole food dishes, following the same recipe exactly each time will help residents adapt more readily. When introducing new dishes, the way you describe them is as important as how you prepare them. In fact, you may even need to provide a little education. Jan Bradfield is a Nutrition and Dietetic Technician Registered (AS-NDTR). She has worked for over 19 years at Williamette View, a continuing care community in Portland, Oregon. Jan described to me what happened in Willamette View dining room when an old favorite was prepared in a new way. Everybody loves mashed potatoes and really wanted them homemade. Chef made them from scratch with red potatoes, leaving some of the skins on. Residents were shocked. This was very different than what they had expected. I explained this is the modern way and healthier, so they decided to try the potatoes. Explaining what you are serving, using full names for ingredients, and describing dishes in detail, will help residents recognize and relate to the food. Like consistency, it will help people trust a new dish. Sharing why a classic dish is being prepared in new ways can help open up minds and start conversations about healthful food options. 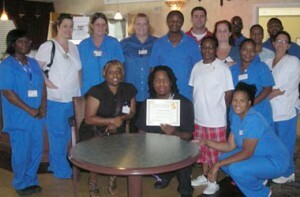 You might even consider having Chef lead some cooking classes for residents who are interested in learning more. There are many sound reasons to upgrade your food offerings sooner, rather than later. For best results, approach your menu transformation with a collaborative attitude, communicate well, and include heaping helpings of kindness with every meal.